Alarmy (Sleep If U Can) pro is the innovative solution to wake up on time. 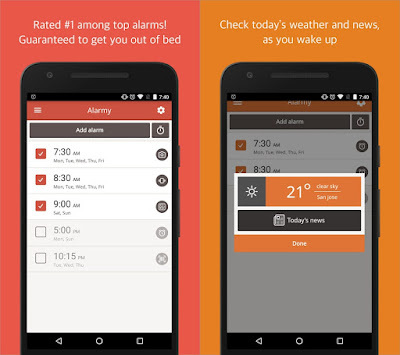 Alarmy app has been cleverly designed to force you to get out of bed. You set it up by registering a photo of an area or room in your house. Then once the alarm is set, the ONLY way to make it stop ringing is to get out of bed and go take a photo of the registered area. Dubbed as “the world’s most annoying alarm”, It has quickly become a favorite mobile app among users. It has been featured in Gizmodo, Cnet, and at Huffington Post, and is currently Number One in its category in 70 countries, including France, Germany, and South Korea. 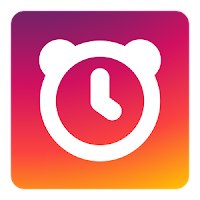 "Early Bird Alarm Clock is faithful to the basics of Alarm Clock. It is simple but powerful"